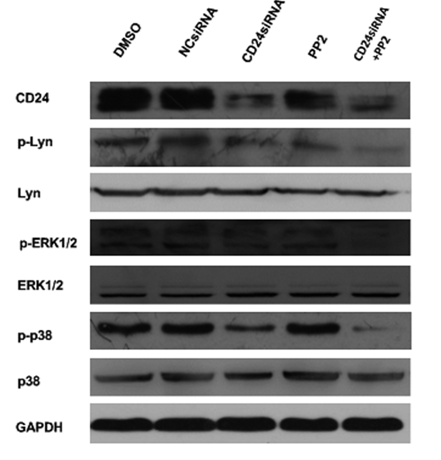 To further confirm that the inactivation of Lyn inhibited CD24-induced ERK1/2 activation, we submitted the results of another CD24siRNA (CD24siRNA-2) as the Additional file 1: Figure S2. After publication of the article  the authors noted that the wrong figure for Additional file 1: Figure S2 was submitted by mistake. The correct image was conducted in SW480CD24 using CD24siRNA-2 (new Additional file 1: attached). The authors apologise for any inconvenience caused.